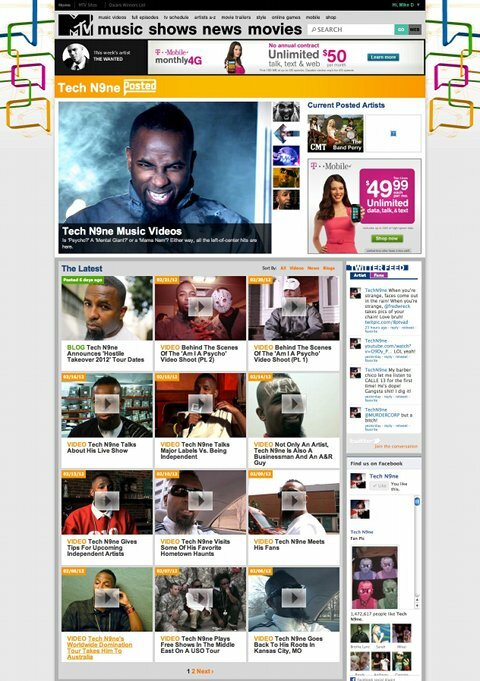 As MTV POSTED‘s featured artist of the month, Tech N9ne received the spotlight for all of February and gave fans brand new exclusive content only available online. From Tech N9ne’s favorite spots in Kansas City to his take on indie artists, MTV POSTED delivered the latest on the independent king. Fans who followed MTV POSTED in February also got a rare look inside the Strange Music HQ and caught a glimpse of Tech N9ne’s Australian festival tour. With the last day of Tech N9ne’s MTV spotlight upon us, we decided to share some of his best features from MTV POSTED. Be sure to visit MTV POSTED for these exclusives and many more! Did you follow Tech N9ne on MTV POSTED for the whole month? What was your favorite video?